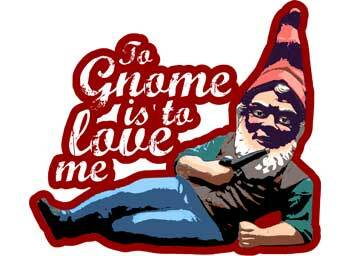 Garden gnome t-shirts that are as funny as they are charming. These shirt designs are colorful, bright and are completely made to order. You can get them on over a hundred different color and style combinations and can edit the garment in just about any way you want. Garden Gnome T-shirt: Fight The Power! 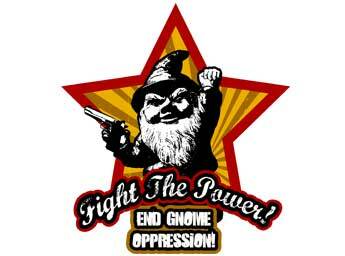 End Gnome Oppression! Funny gnome t-shirt featuring an angry little bearded one with his arm up in revolution! Oh this little guy is packin' heat too so you know he means business! It's a beautifully designed gnome t-shirt with loads of character and fun. Click here to personalize your own! You Down With OPP? Yeah You Gnome! Remember the hit rap song from Naughty By Nature in the 80s? 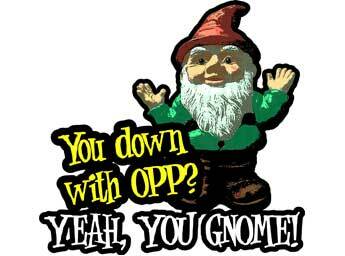 You know this Gnome Boy is down with OPP! 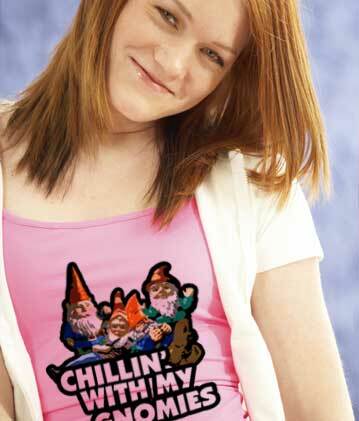 This is one of our best selling Garden Gnome t-shirts. The illustration alone is priceless because you can tell this little fella has nothing but luvin' on his mind. Ooooh Yeaaah! Cue the Barry White music now! 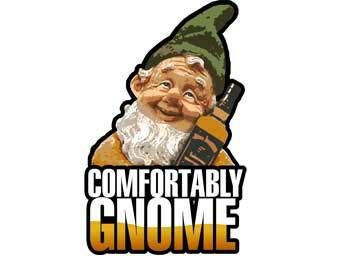 A parody of the old Pink Floyd tune "Comfortably Numb" This t-shirt is a hilarious addition to any serious gnome fanatic's wardrobe. I mean really, just look at the little guy so happy hugging his bottle of amber joy. His expression alone is worthy of a purchase. 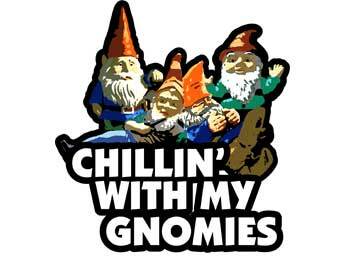 Chillin With My Gnomies has always been a popular design for Lawn Gnome fans of our site. This new design is eye catching with all the fun colors and funny little gnome characters in the background. A motley crew they are when they get together, eh?